Imagine serving honorably in the military, then coming home and years later finding out that there’s a child you never knew you had. 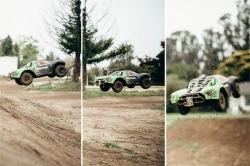 Such an unexpected surprise happened to Jeffrey Jerome Whitson, a 29-year-old Kern County resident and U.S. Marine Corps veteran. Last February, Whitson discovered that he was the father of an 8-year-old boy, in a scenario that is becoming all too common thanks to accessible database information. According to Whitson’s attorney, Diane Weissburg, her client was found by Santa Barbara County Jail deputy Jake Malone, who conducted a Child Welfare Services (CWS) database search. He found Whitson’s information from a prior arrest. The fact that Malone used the database for this purpose was unveiled during a deposition in a case involving Whitson and the boy’s mother—who is now married to Malone—who are locked in court battle for custody of the child. 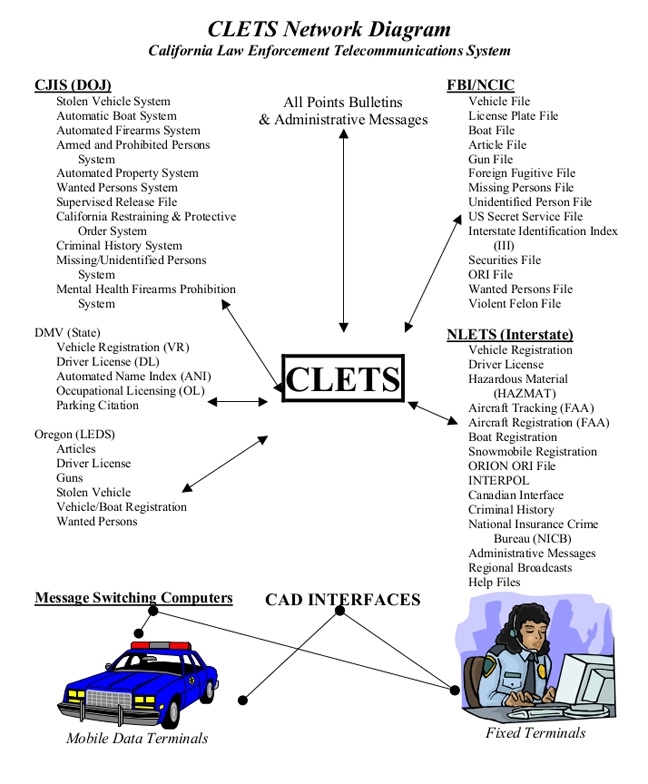 The CLETS database is connected to a web of databases used by various law enforcement agencies throughout the country. Using the database to extract information about a person under these circumstances is illegal, according to Weissburg, since Malone wasn’t using it for official business. In a lawsuit filed on Nov. 6 in federal court, Whitson alleges that Malone continues to access the database to glean information that he could use to try and deny Whitson custody of his own son. “Essentially, he was digging for dirt on my client,” Weissburg told the Sun. According to privacy rights advocates, such a case illustrates a growing concern about lack of accountability for misuse of government databases. In a Nov. 18 report published by Electronic Frontier Foundation investigative researcher Dave Maass, the number of instances where a law enforcement official in the state improperly accessed the California Law Enforcement Telecommunications System (CLETS—pronounced “klets”) doubled between 2010 to 2014 to nearly 400 cases (389 to be precise) between those years. CLETS is the database California police use to access criminal records. It’s connected through a spiderweb of dozens of other databases, such as the FBI’s National Criminal Information Center, missing persons or stolen vehicle databases, driver’s license records from the DMV, and even records for snowmobile registration. The data was compiled by Maass from public records requests. And that’s only the tip of the iceberg, according to Maass, who added that police agencies aren’t reporting instances of CLETS misuse to the California Office of the Attorney General every year, but are either underreporting or not at all. Two of the biggest police agencies in the state—the Los Angeles Police Department (LAPD) and the Los Angeles County Sheriff’s Department (LASD)—haven’t consistently reported, or not at all, any instances of misuse in five years. Out of the five years, LAPD only reported one year of misuse, according to Maass. This is misleading, Maass says, since law enforcement agencies in California are required to report all instances of misuse each February to the state Office of the Attorney General. Local police agencies appeared on the report, including the Lompoc and Santa Maria police departments, as well as the Santa Barbara County Sheriff’s Office. Unauthorized access to databases is a serious problem, Maass said, because it violates privacy and can lead to drastic repercussions. In 2013, Madera County sheriff’s deputies were using a CLETS terminal as a regular workstation and missed a message to pick up a suspect from the Fresno County Jail. The result? A person was killed days later in a car wreck stemming from a police chase with the suspect, according to KFSN-TV in Fresno. In another case, two officers from the Fairfield Police Department were investigated for allegedly using CLETS to screen women on dating sites like eHarmony and Tinder. It’s not just restricted to police officers, attorney Weissburg said, but anybody with the power to access such information about people. It’s a growing phenomenon of which Weissburg said most people aren’t even aware. Databases have advantages. For Weissburg, who spent more than two decades working with CWS, they can help protect children from abusive parents. The problem, Weissburg said, is that average people can get caught up in the system without having committed any crime. Such was the case of Rahinah Ibrahim, a Muslim woman who was “erroneously” placed on a terrorist watch list by the FBI, according to Wired magazine. And then there’s Ayman Latif, a disabled U.S. Marine who was prevented from returning to his own country after visiting family in Egypt because he was placed on a no-fly watch list, according to a lawsuit he and several other plaintiffs filed against the U.S. government in 2010. Being on such a list can affect a person’s chance at getting a job, a license, adopting a child, or working in a capacity where children are present, Weissburg said. An even bigger problem is trying to get deleted from such databases. Getting your name removed can be a monumental task, if it happens at all. According to Weissburg, there is no legal recourse to getting your name removed from a database where it doesn’t belong, unless explicitly mandated by the court. Weissburg is one of the few attorneys in the state fighting for due process for those wanting to get their names removed from databases. She’s currently representing several clients before the U.S. 9th Circuit Court of Appeals, including one who’s trying to get their name removed from the CWS database. The state is fighting the removal because, according to Weissburg, it’ll open the floodgates for the entire West Coast for people who might want their names removed. It could potentially affect up to 20 million people, according to Weissburg. “Just having your name in any database—where you have no knowledge that you’re in it and no way to correct the information, smacks of WWII all over again,” Weissburg said. View a copy of Dave Maass’ report at eff.org/cletsmisuse. Contact Staff Writer David Minsky at dminsky@santamariasun.com.